A minimum of 4 adult passengers is required for the tour to run. If the minimum size is not reached, the tour is subject to cancellation and all tickets will be refunded or rescheduled. You may be added with others to make the minimum. Please wear walking/hiking boots as we will be walking 1.5 hours, often in wet weather. Sorry, no wheelchair access. You will be met at the cruise pier where you will be picked up and transferred to Antigua Guatemala. Here you will meet your guide. 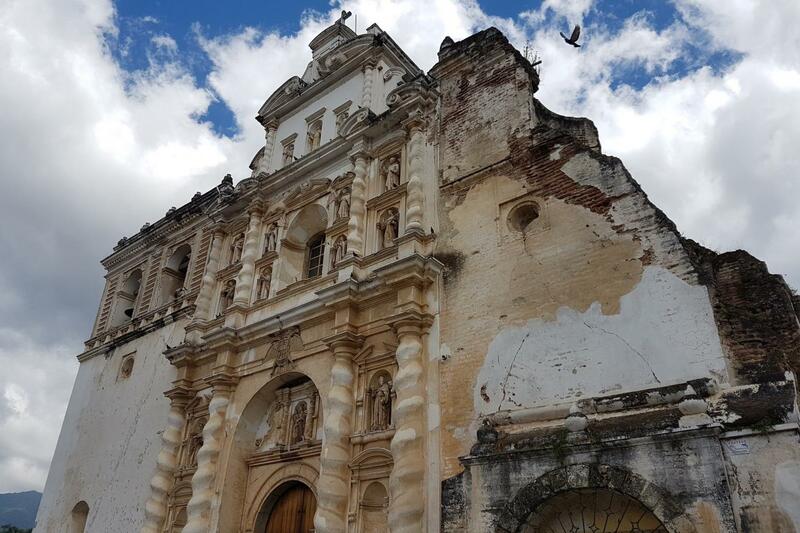 Antigua Guatemala is outstanding and the best-preserved colonial city in Latin America. Antigua Guatemala means "Ancient Guatemala" and was the third capital of the country. Tourists visit Antigua Guatemala every year from around the world to enjoy its natural beauty and historic monuments. The Spanish Colonial style permeates every part of the town: its houses, churches, squares, parks and ruins, also its traditions and folklore as well. Antigua is a city of charm and color where you can see and buy an overwhelming variety of attractive, handmade products that honor the traditions of generations of artisans.It has been designated a UNESCO World Heritage Site. After a soft walking tour of Antigua we will take a transfer to Kawilal Hot Spring that is a world of relaxation, where the most important elements of nature are present in this unique hot springs location. The hot springs complex promotes sustainable tourism in our country, and has 12 thermal pools, Thermal Circuit, 25 Steam Baths, and 3 Hydrotherapy Baths. The spa offers relaxing massages, reflexology, shiatsu relaxing, manicure and pedicure services, among others. Within our facilities are also Fonda Del Castillo, a restaurant with international fast food service. Then after the lunch we return to Puerto Quetzal (Pacific Ocean) to board your cruise.